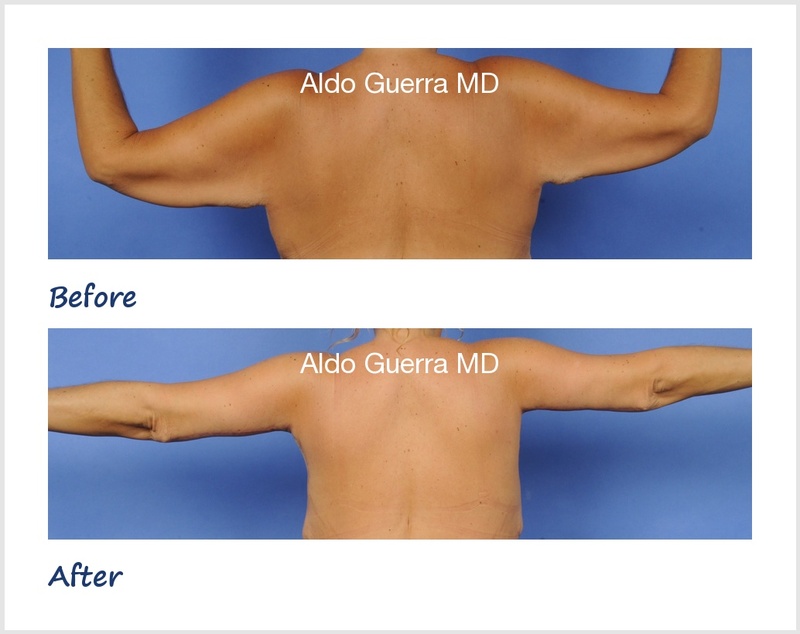 A nice 39 year old lady from Phoenix, Arizona is shown before and after arm lift and breast lift surgery. She lost 145 pounds after having lap band surgery. She was happy with her weight loss, but not completely because of the loose skin in different areas of her body, including the arms. Her weight had been stable for the past 12 months when she requested arm and breast contouring surgery. Her highest recorded body mass index was 47.1. At the time of surgery, her body mass index was 24.2. She was not happy with the excess skin and flabbiness on her arms, especially the back of the arms and the armpit area. She wanted arm and breast surgery to improve her figure and reduce her arms and breast cup. 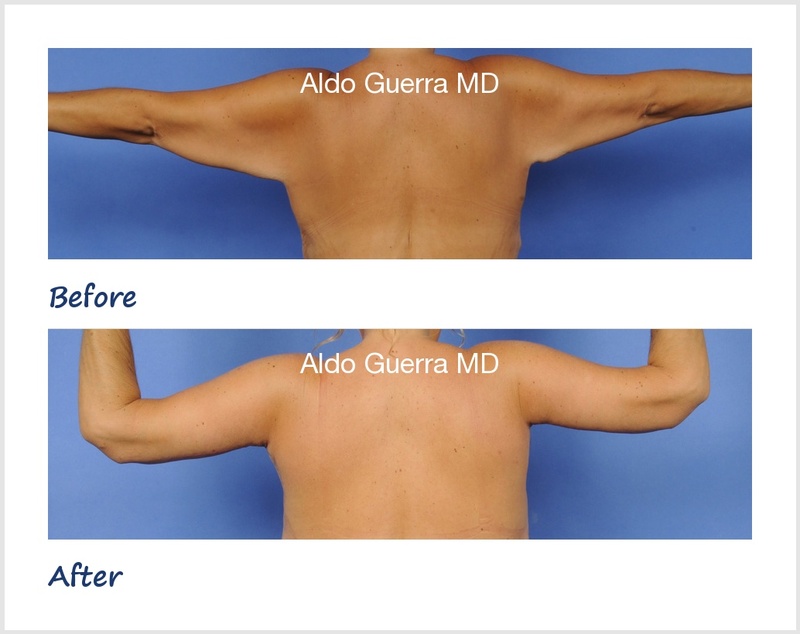 I recommended a posterior arm lift with reduction of the bra rolls and armpit excess skin. She liked this idea of an incision under the arm where it could remain nicely hidden and private. Before surgery, she is 5 feet 7 inches and weighed 155 pounds. A preoperative high protein diet with multivitamins was recommended. During the operation, the tissue removed from the arms weighed 723 grams, and the breasts 223 grams. Overall, the tissue removed weighed in at less than 3 pounds. She decide to go home after plastic surgery performed at a local Arizona plastic surgery center. Her close up views of the arm lift before and after photos, show her at 9 months after the operation performed.